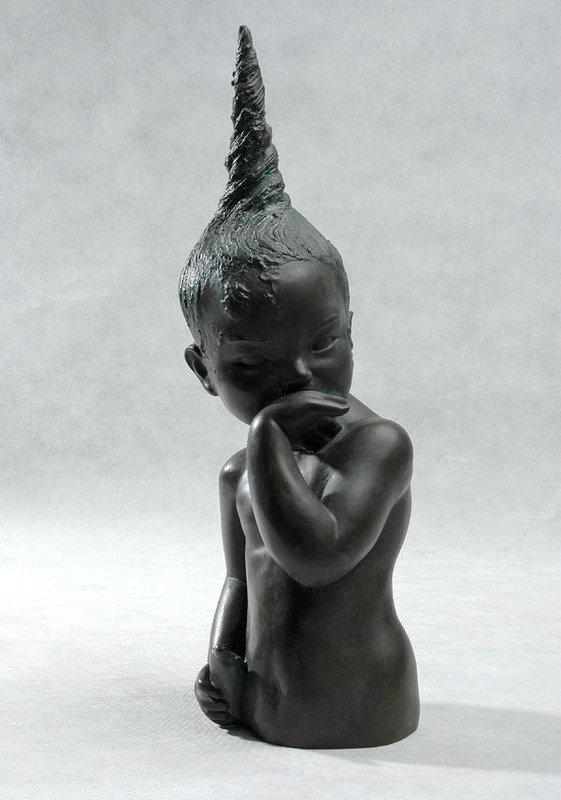 Inspired by her own daughter when she was 3, bashful, naughty yet very sweet, this "Chinese Child" sculpture by contemporary Chinese sculptor Zhang Yaxi is currently available in bronze resin or bronze. 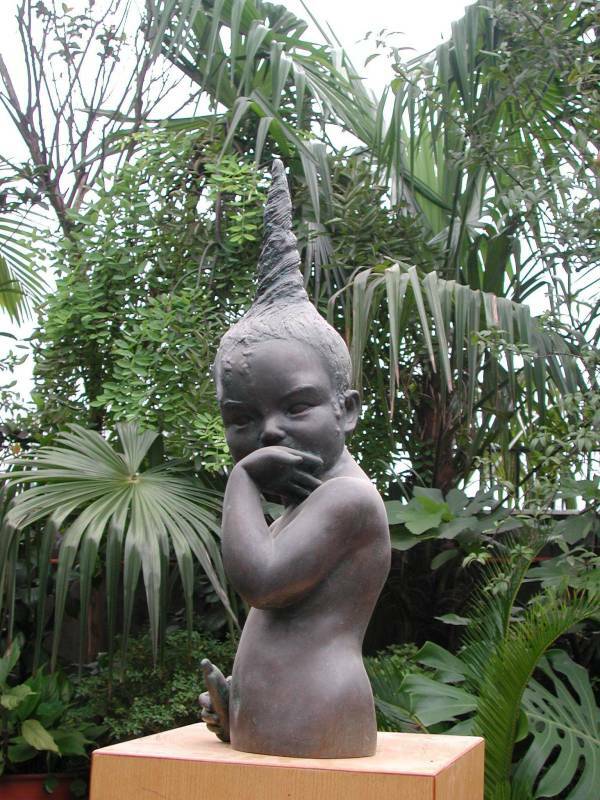 The bronze resin (an unlimited edition artwork) or bronze (a limited edition sculpture - one of a series of 8) can be ordered via the Contact Form. 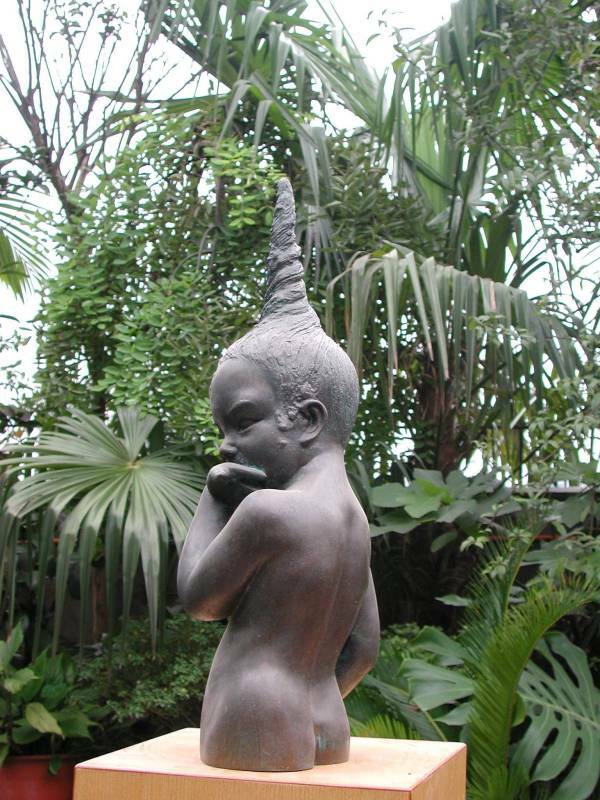 "Chinese Child" can also be commissioned in any size for a private garden or public space in any size and materials such as marble or bronze. 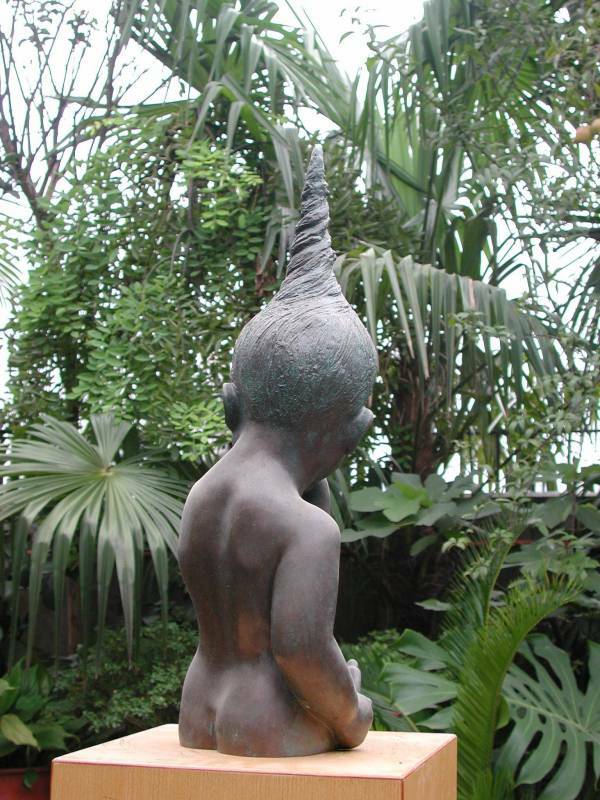 Title: "Chinese Child Holding Bubble Bath Soap"